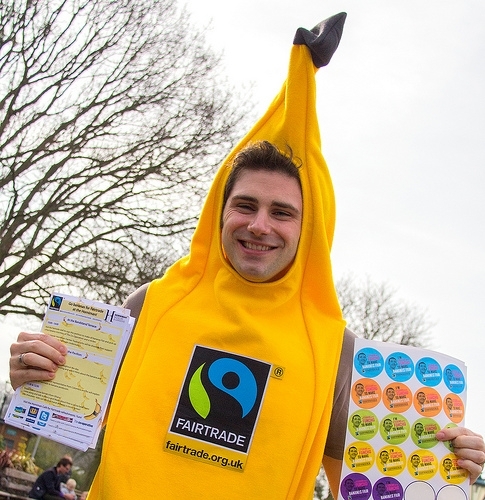 Going bananas and getting creative for Fairtrade Fortnight! Bananas are a hot topic as this years Fairtrade Fortnight (24th February to 9th March) centered around the campaign to make bananas fair. Lewisham got into the swing of things with a number of events throughout the fortnight including a supper at the Catford Canteen, discussions by banana farmers at both Goldsmiths University and the Horniman Museum. Lewisham schools also got on board with Kilmorie school hosting a Banana themed Fairtrade breakfast and cake sale and the boroughs Clean & Green schools took part in a Fairtrade poster competition. A Fairtrade banana tells people about the plight of the banana farmers at Horniman Park. Prices for bananas has been driven lower because of a price war from supermarkets to entice shoppers by offering the fruit cheaply. The effect of this has been to push the price paid to the banana producers to 40% less over the last ten years at a time when the cost of producing bananas has increased. This not only has a detrimental effect on the wages and working conditions for farmers but encourages them to intensify banana production. Environmental problems such as soil exhaustion and increased water use also have the potential to effect the land. 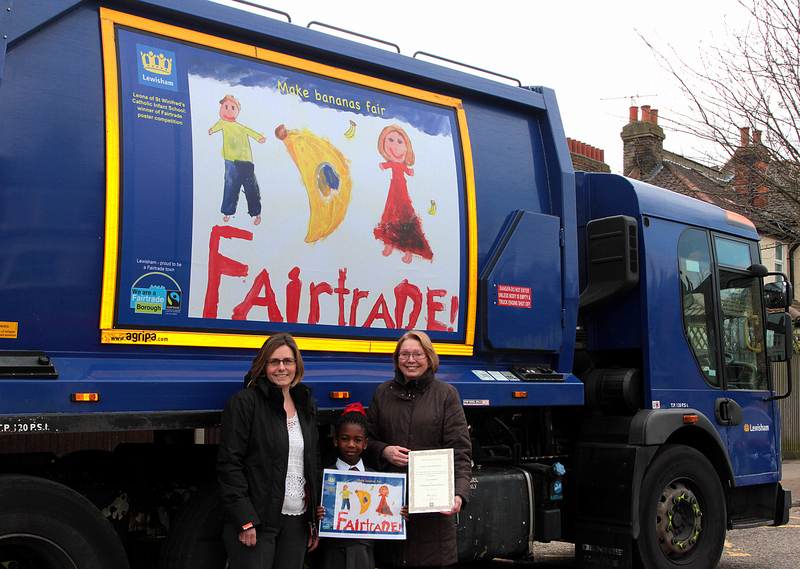 Categories: Uncategorized | Tags: bananas, Cllr Susan Wise, Councillor Susan Wise, Design a poster competition, Fair trade fortnight, Fairtrade, fairtrade 2014, fairtrade bananas, St Winifred School, Susan Wise | Permalink. 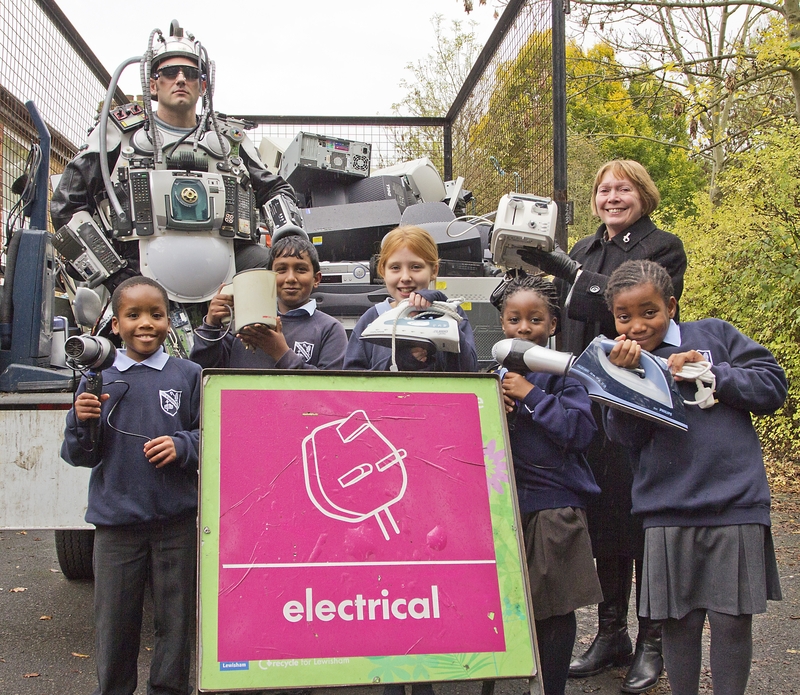 Schools from across the borough gathered at the Civic Suite, Catford this week to mark the end of the 12th annual Clean & Green schools programme. Thirty Lewisham schools took part in the year long programme whose aim is to support and encourage teachers and children to explore topics which impact the environment for example, transport, bio-diversity, waste and recycling. In previous years, Clean & Green schools have set up initiatives which have been sustained in subsequent school years. Previous winners have set up food growing areas, worked with local businesses to collect and recycle tin cans and started a walking bus for children to get to school. This years ceremony was a fun event, starting with lunch and then award presentions by Cllr Susan Wise, Cabinet Member for Customer Services. Entertainment for the afternoon was provided by Ade from Bigfoot Arts (pictured below) who did a one man show about the effects of global warming. 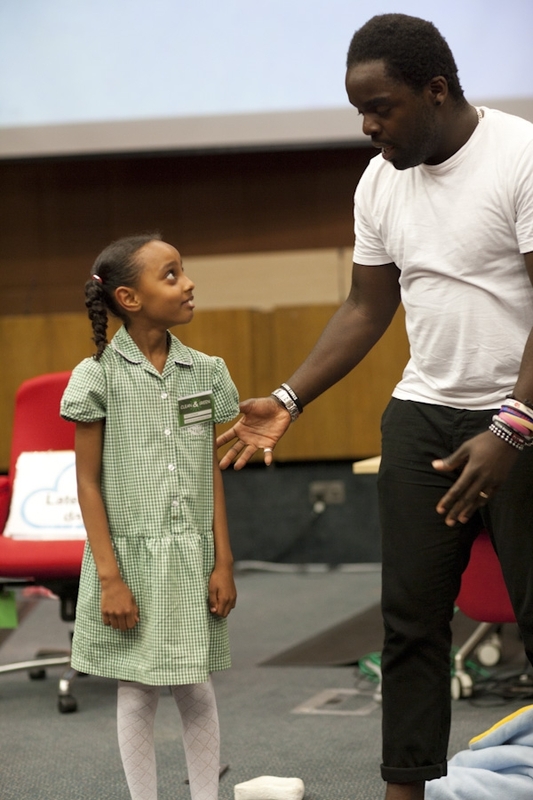 Extra help was provided by children in the audience and included Luna (also below) from St Savious RC Primary School who rose to the challenge for some impromptu acting, making it an extra special performance. This year has seen more great work from the schools who participated. Some of the achievements highlighted at the award ceremony included Haseltine School whose children, inspired by a trip to Brogdale Orchard in Kent, set about creating their own orchard using the fruit to make jams for their school breakfast club. Another school- Horniman Primary grew vegetables in their growing area and made up veg boxes to sell to the wider community. Both of these schools won gold awards for their effort. Cllr Wise, who has shown continued support for the programme and judged many of this years entries, commented on the high standard of entries submitted again this year. Holbeach School received the runners up award with judges congratulating the amount of work they did to encourage recycling in the whole school. 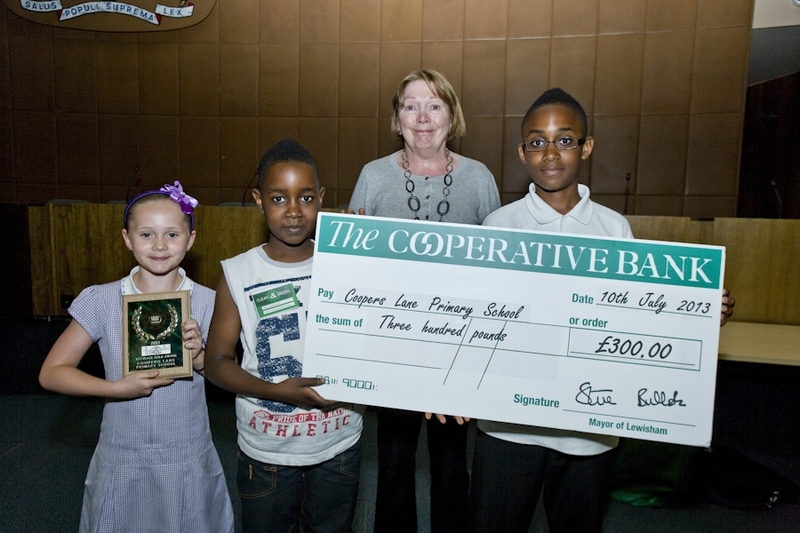 Maisee, William and Kennedy from this years winning school, Coopers Lane pictured with Cllr Susan Wise. 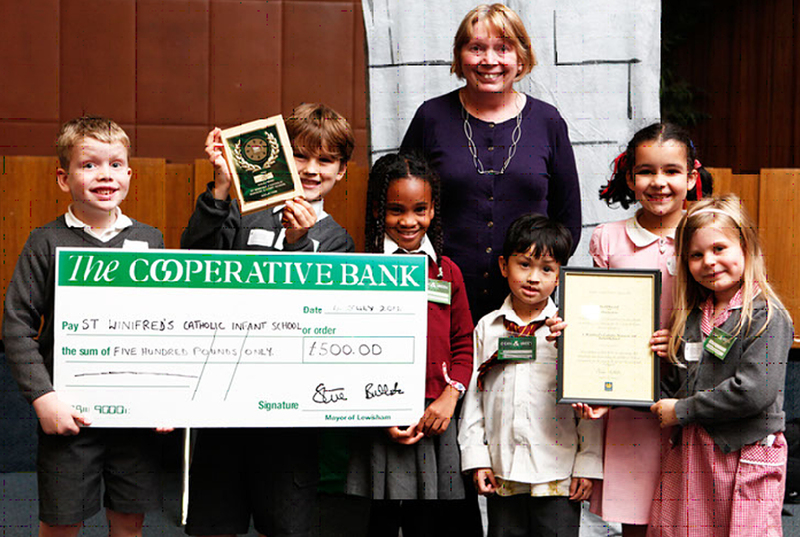 The winners were Coopers Lane School (pictured above) whose work throughout the year culminated in an environmental open evening attended by the school and local community. They displayed the work they had done over the Clean & Green year. The judges were very impressed with the amount of effort made by the whole school and the degree to which the wider community were involved. Categories: community engagement, Environmental Campaigns, Uncategorized | Tags: 12th annual Clean & Green schools programme, Ade from Bigfoot Arts, Big Foot Arts, catford, Civic Suite, Clean and Green, Clean and Green Awards 2013, Cllr Susan Wise, Coopers Lane Primary School, St Savious RC Primary School, Susan Wise | Permalink. Lewisham schools sculpture a ‘London Landmark’ to celebrate Fairtrade Fortnight. To celebrate Fairtrade Fortnight which ran from 25th Feb to 10th March, schools in Lewisham who are on the Clean & Green programme were asked to take part in a competition to make a sculpture out of Fairtrade packaging of a famous landmark in London. Fairtrade fortnight is an annual campaign event, run to raise awareness of Fairtrade products. Choosing to buy Fairtrade products ensures that producers get a guaranteed price which covers the cost of production. This means farmers have more control over their lives and are able to plan for their future knowing that they are bringing in a certain level of income. Cllr Susan Wise with first prize winner Lottie. Cllr Susan Wise with St Winifreds Infant School teacher Miss Hampson & winners Lottie, Leona & Frasier. 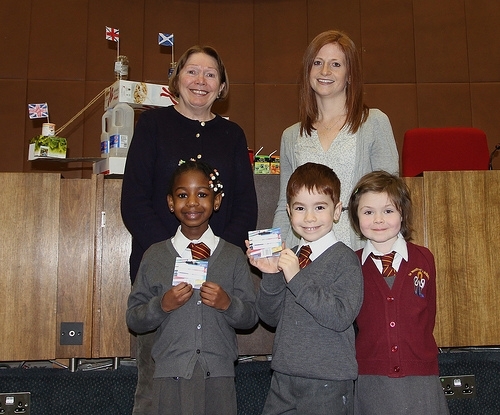 Children from St Winifreds Infant School who showed their enthusiasm for Fairtrade with their entries. Also pictured Cllr Susan Wise and St Winifreds infant school teacher Miss Hampson who encouraged the children to explore the difference Fairtrade can make. The sculptures are now on displayed in the foyer of Lewisham Library. Categories: community engagement, Environmental Campaigns, Schools | Tags: Cllr Susan Wise, Fair trade fortnight, Fairtrade Fortnight, fairtrade fortnight 2013, Fairtrade Fortnight in Lewisham, fairtrade fortnight winner 2013, London sculpture winner 2013, St Winifred's Infant School, World fairtrade day 2013 | Permalink. The hard work and resilience of the boroughs allotment plotholders for the annual Allotments Competition was recently rewarded at the 2012 Allotments Awards ceremony held at the Civic Suite in Catford. The popular competition has run for many years and is open to over 700 plotholders of the borough’s 40 Allotments sites. Hosted by Martin Hyde (Parks Regeneration Manager) and with awards presented by Cllr Susan Wise, prizes were given for Best Allotment Plot, Best Allotment Photo, Best New Plotholder, Allotment Site Deserving Recognition and Best Allotment Site. In the opening speech Cllr Wise recognised the huge contribution of individual plotholders and self-managed committee members in ensuring we have vibrant food growing communities, which as well as providing nutritious home grown food, also incorporate nature areas with bee hives, ponds, orchards and wildflower planting. 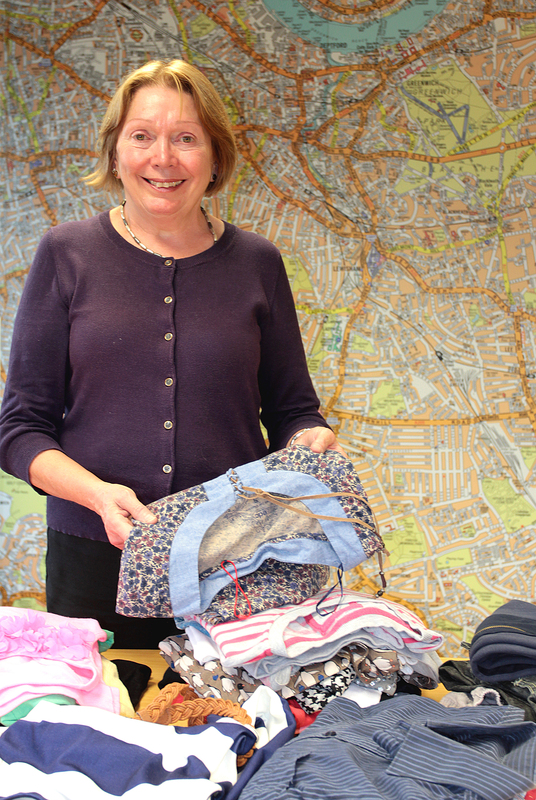 Overall Borough Winner – Best Plot – Ms Helen Main Ellen – Trewsbury Road, Sydenham. As well as a high standard of planting, Helen has created a beautifully crafted plot with pristine raised beds, ornate archway and eye-catching ornamentation. Her artistic touches and love of the plot are all too apparent – a well deserved winner. 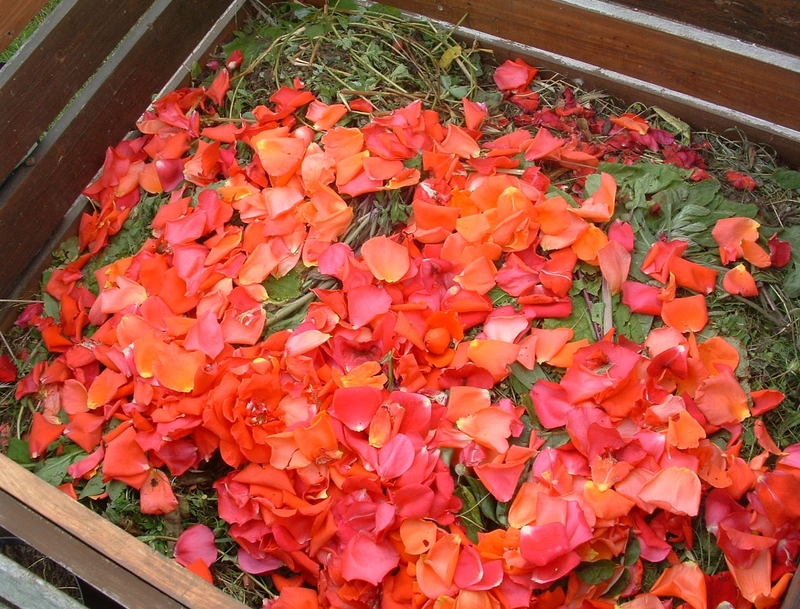 The winning photo depicting peach red rose petals against deep green clippings in a compost bin shows a beautiful combination of colour, texture and originality. The judges enjoyed the textures and colours of this image. The winner of this category worked wonders on her new plot; wasting no time she has worked hard to produce an attractively laid out plot, meticulously maintained with a good variety of produce. The path of managing a site does not always run smoothly and this site, with underlying springs, had areas prone to flooding. When plots were becoming unmanageable the committee, undeterred and with huge input from the site Chair, Ruth Garcha, managed to secure Lottery Funding to turn the area into a communal pond with seating and bog plants. As well as this they have carried out significant clearance work at the entrance to begin creating a wildflower area. Longton Nursery are a great example of overcoming obstacles and fostering community spirit to make great improvements to their allotment. Categories: community engagement, composting | Tags: Allotment awards ceremony 2012, allotment ceremony, allotment holders, allotment holders in Lewisham, allotments, Best Allotment photo, Best allotment plot, Best new plotholder, Cllr Susan Wise, David Culpan, Helen Main Ellen, Katy Delaney, Lewisham allotment holders, Lewisham allotments, Lewisham Council allotment holders, Longton Nursery, Mo Joyce, site deserving recognition | Permalink. 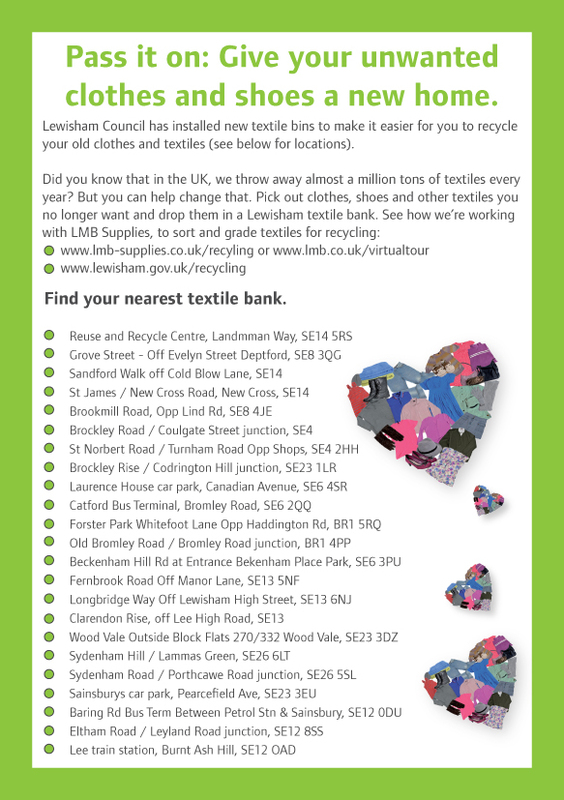 During the last twelve months, 25 schools from across Lewisham have been taking part in the Clean and Greens schools programme. Throughout the school year, the programme offers support to schools to address topics which make a difference to not only the school but the wider community and environment. At the start of each school year, we encourage schools to participate. 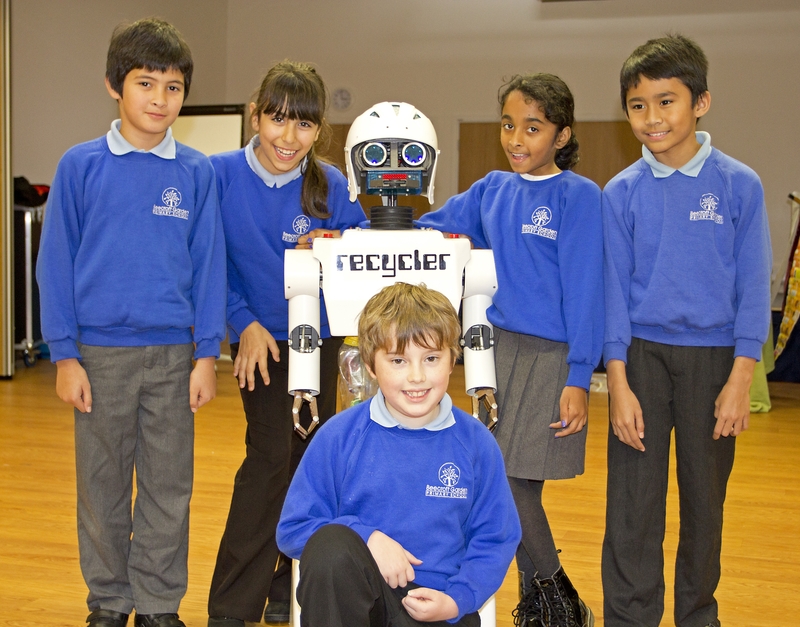 Children and teachers come up with innovative ways to explore topics such as; waste and recycling, local environmental quality, love food, energy and climate change, transport , biodiversity, fair trade, water and animal welfare. Members from the Environment and Community Development team visit the schools and support activities which include group work, surveys and presentations. This years entrants have maintained the very high standard received in previous years and a selection of topics were tackled in a creative way. This included; All Saints schools setting up a Fair trade tuck shop run by parents, Kelvin Grove school creating a growing area for crops which is maintained by a weekly gardening club and parents, John Stainer school setting up a ‘stride and ride’ scheme to encourage children and parents to at least travel some part of the journey without using the car. At the end of the year, all the work undertaken by the school is presented to the judging panel who include Cllr Susan Wise- Executive Member for Customer Services. The overall winners this year were chosen for their high quality submissions, with the highly commended award going to Stillness Infant School whose activities included; reusing items found around the school to create a scarecrow ‘cyclist from team GB’ which was then entered into an RHS Scarecrow competition and also started up a scheme to reuse elastic bands which had been found around the school and started up a series of lunchtime activities to create alternative play equipment. 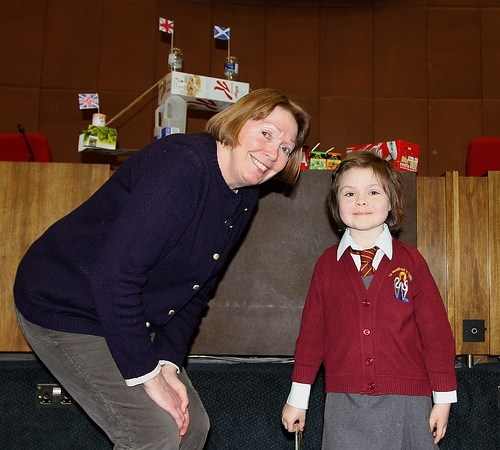 This years overall winners were St Winifred’s Infants school who submitted an exemplary entry. The school chose Transport as one of their topics, recruiting their own junior road safety officers who carried out road travels surveys. For their second topic of Waste and Recycling, the children successfully engaged with local businesses to arrange collection of their tin cans which they then sold for recycling. Other initiatives included a ‘big pedal’ to school and mobile phone collection box at school. The Awards ceremony took place on July 4th at the Council Chambers where Stillness Infants School were presented with a £350 cheque and St Winifred’s Infants received £500. Prizes of book tokens were also given to entrants of poetry and poster competitions. Categories: community engagement, Environmental Campaigns, Schools, Uncategorized | Tags: Adamsrill Primary School, All Saints School, Beth Sowden, Clean and Green, Clean and Green Awards 2012, Cllr Susan Wise, St Winifred's Infant School, Stillness Infants School | Permalink.